It was a wonderful experience. The response was very good. I sold almost everything I had displayed. Came back with a few orders too. Planning to do this again pretty soon. It been an unfulfilled desire to use a nice puffy bow in my card. Finally did it. Love the way it makes the card look. This is the view from my hostel room. 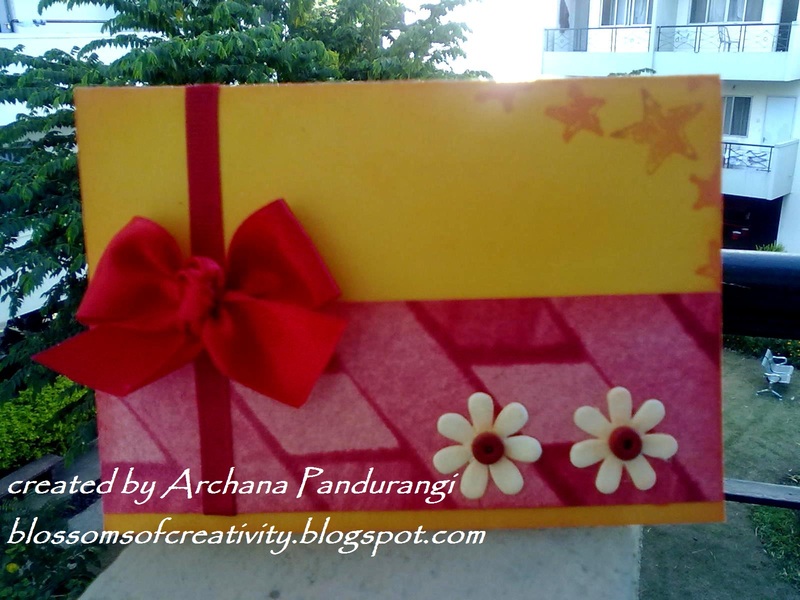 Getting back to card making brings back a lot of happiness. The flowers on the cardstock are from a stencil. This butterfly is a digital stamp. 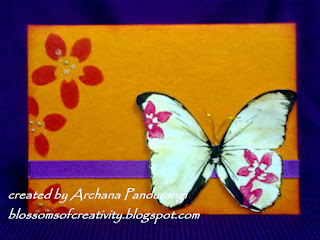 Stamped with a carved wooden stamp on the butterfly. Sponged the edges of the cardstock with red ink for the final effect. Stamped in copper acrylic paint and sponged around the card.